Join us in the fight against Alzheimer's. 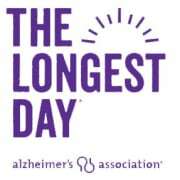 The Alzheimer's Association California Central Coast Chapter is looking for volunteers to help us with our newest global signature event, The Longest Day. Be a The Longest Day Volunteer where you will play a vital role in team recruitment and cultivation, as well as marketing and promoting the event throughout Ventura County. The Longest Day is all about love. Love for all those affected by Alzheimer’s disease. On, June 21, 2019, people across the world will do what they love on the day with the most light to come out of the darkness of Alzheimer's disease, to honor those they love with Alzheimer’s. Together, we will raise funds and awareness for the care, support and research efforts of the Alzheimer’s Association. The event can be held on any other day of the year too! High School and College programs, sports, and activities are great ways to become involved! Learn more at www.alz.org/TLD or contact McCall James at mcjames@alz.org.